Osmania University Degree Results 2019 – OU UG Results 2019 @ Manabadi.com. Good news for students that the OU degree results 2019 available at www.osmania.ac.in. Every year ou degree ug 1st, 2nd, 3rd year annual exams conducted the month of march/April 2019. Osmania university one of the top university in telangana. Ou degree 1st, 2nd, 3rd year results announced on manabadi.com also. 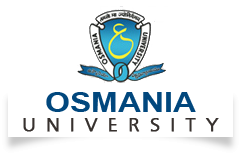 Every year osmania university has announced degree (UG) result for various groups like B.A, B.COM, B.SC, BBA, BSW etc. The OU university can decided to declared the results on 24th May 2018. Osmania University is going to announce the Degree result 2018 for UG degree courses such as B.A, B.com, B.Sc, LLB, BCA, B.Ed, BBA. It is a responsibility of institute to conduct exams, declare results and give degrees to the students. All those candidates who have given their exams and are waiting for their results are informed that university is going to announce result for semester exams for a month of Nov/December & March/April after one month of conduction of exams. You can check out your result online as well as offline. For online checking of result you have to visit on our website. By just writing your roll no. in a given box result will be on your screen. It is a responsibility of institute to conduct exams, declare results and give degrees to the students. University is working for a long time to provide a quality education to every student of India. It is also a responsibility of institute to make those amendments which are in favor of education. Good friends all the best for ur result a?? All the best to all degree students of OU. Hope for the best. I wish all da best to all of the of degree including me hope the results wre wnever it may.. I wish v all get good marks.. I wish all da best to all of the of degree including hope the results wre wnever it may..
Aaj sirf tension se students Ki Jaan jaayegi result nahi aayega??? ?